The #SundaySupper Tastemakers are coming at ya this week with ah-MAIZE-ing recipes! Was that corny? I'm all ears! heehee You've probably guessed by now we're all about corn this week! Scroll down past my recipe for a whole list of Summer Corn Recipes to enjoy before the season is over. Thanks goes out to Ellen, of Family Around the Table, for all of her hard work in making this event possible. How do you like your cornbread? Southern style with a dense texture and almost no sweetness? 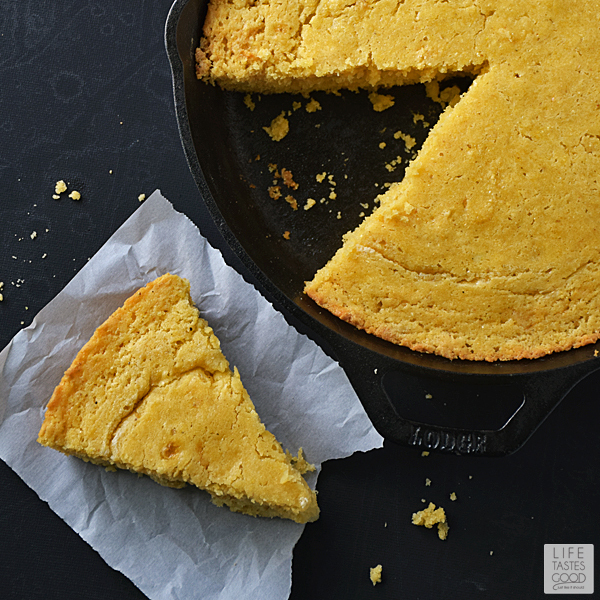 or do you crave the sweeter cornbread of the north with a cake-like texture? 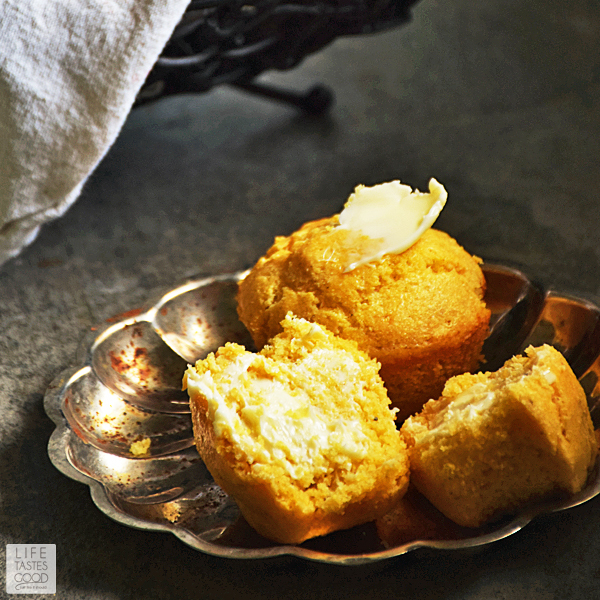 If you aren't sure where you stand on cornbread politics, I recommend giving this recipe a try. It's neutral, like Switzerland <smile>. Just remember to slather on the butter, because this dense cake with a hint of honey is the perfect canvas for sweet, creamy, salted butter. Enjoy! Prepare a 12-cup muffin pan by greasing just the bottoms of the muffin cups. In a large mixing bowl combine 1 1/4 cups yellow cornmeal, 1 cup all-purpose flour, 1/2 cup Honey Granules, 1 tablespoon baking powder, and 1/2 teaspoon kosher salt. Whisk to mix well. In a microwave safe bowl or large measuring cup, melt 4 tablespoons butter. Add 1 cup of milk and 1 egg. Whisk to combine. Pour wet ingredients into dry and gently mix until until just combined. Allow the mixture to sit, undisturbed, while the oven preheats. 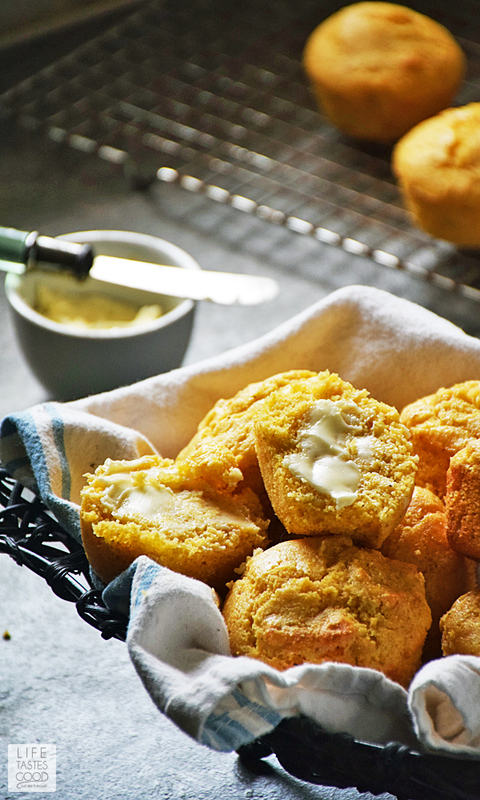 When the oven is nearly up to temperature, use a medium scoop to fill each muffin cup 3/4 full with the cornbread muffin batter. Place the muffin pan in the preheated oven and bake for 12-15 minutes until the tops of the muffin bounces back when gently pressed. Allow to cool slightly in pan. Carefully run a butter knife around the edge of the muffins to loosen and remove to a wire rack. 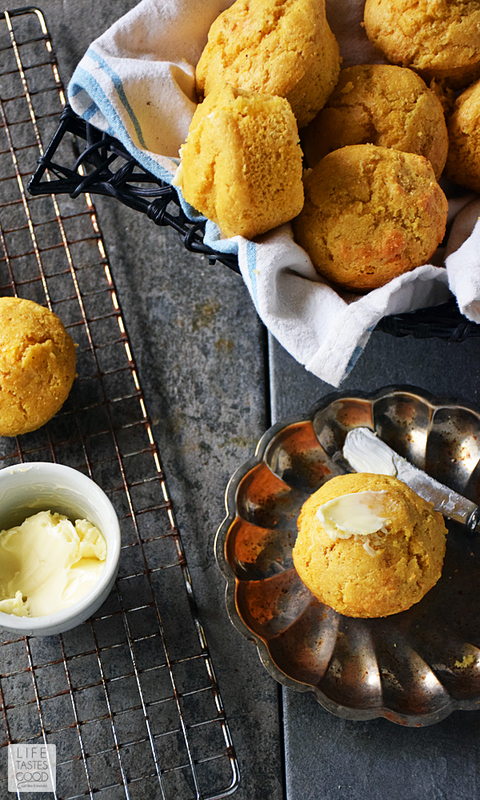 Serve warm with softened butter and enjoy! Click on the photo check out my Skillet Cornbread Recipe. It has a crispy outside that is to die for! I LOVE cornbread muffins! These look perfect! I need to know about honey granules!! These muffins look absolutely divine---need to work them into my menu soon!! 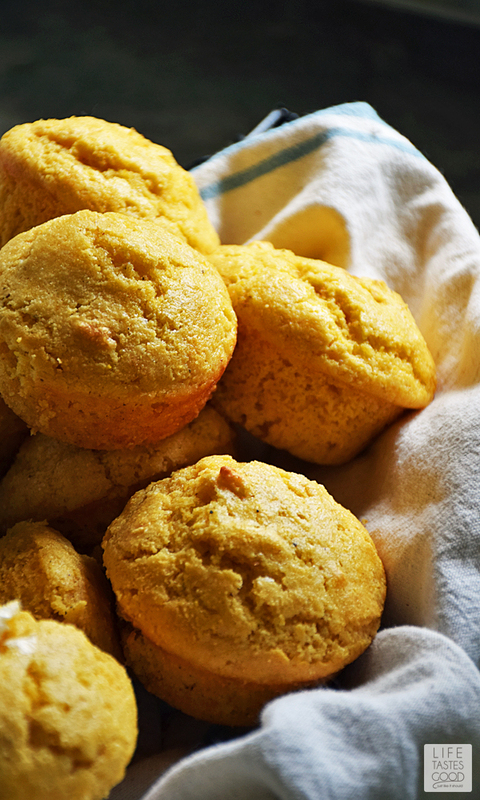 I cannot resist a muffin, and these cornmeal muffins look amazing! 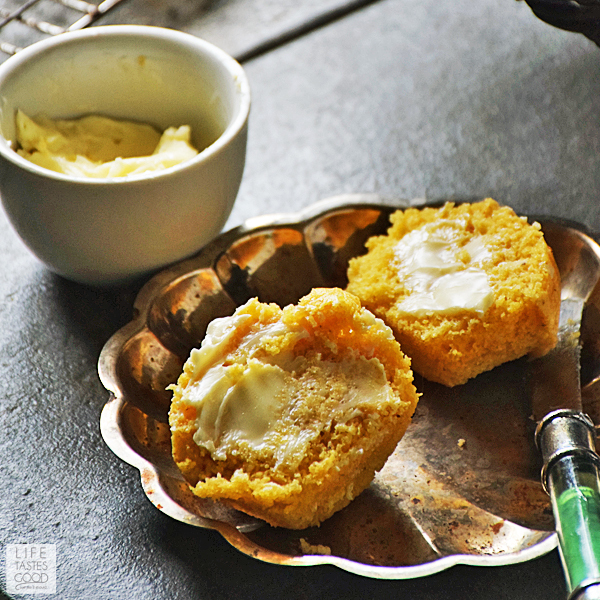 I am quite certain I will love them even without the butter ;) Great post! These muffins look really good and pretty enough for a special event. I never realized there was northern and southern cornbread. how did I get this far and not know that? Your muffins are gorgeous! I could never attempt to eat one without slathering it in butter. I love granulated honey I'm making this real soon! How decadent does this look!! I'm totally saving this! 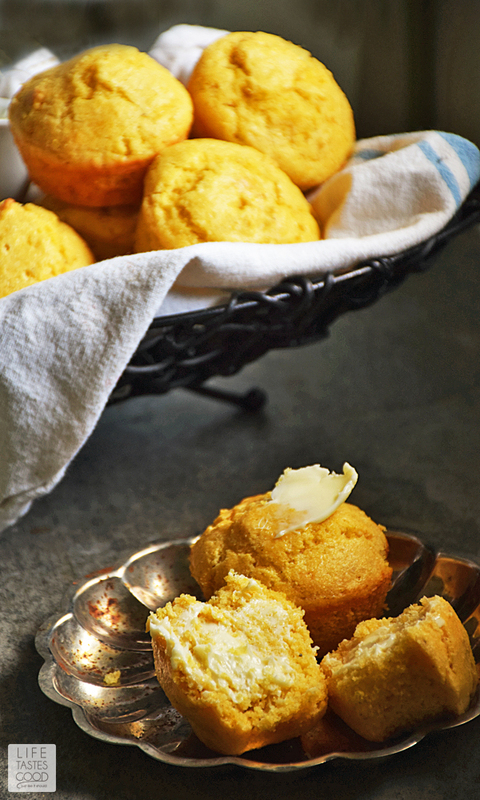 Butter always makes cornbread better! Your muffins are gorgeous. These looks so yummy!! Is it possible to use 1/2 cup honey in the place of the honey granules? Thank you! These muffins look yummy!! Can I substitute 1/2 cup honey for the honey granules?? Thank you! !